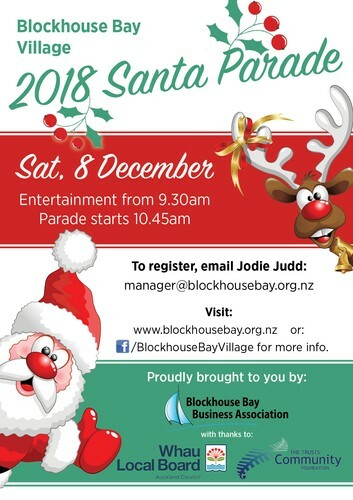 Christmas is coming to Blockhouse Bay! Entertainment from 9:30am. Parade starts at 10:45am. Come along and see local groups perform, followed by the parade with Santa. There will also be a bouncy castle, face painting, balloons, clowns and more to keep everybody entertained.